True specialists in Stan Up Paddle within the National Park will assure us professionalism, great knowledge of the area and first class international equipment. After an instructive talk about the equipment and handling of the boards, the guide will lead the passengers in a safe and pleasant way. 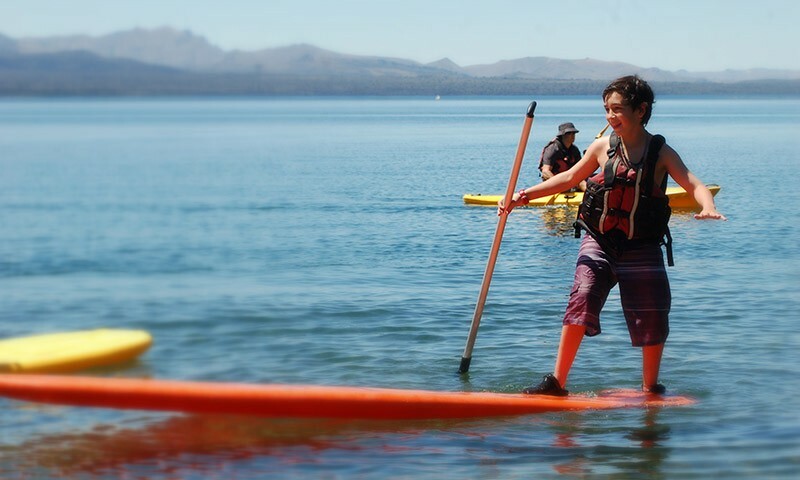 We will start with a guided Crossing in SUP through the bay of the lake. Bilingual SUP guide / s.